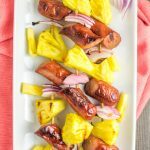 Hot dog, hot dog, hot diggity dog – these Whole30 hot dog skewers are the best dang thing summer has ever seen. Three uniquely delicious hot dog combos that are perfect for kids and adults. You’ve never seen hot dogs quite like this! What’s more American than a hot dog? I’ll give honorary mention to football, pontoons, and Bruno Mars, but hot dogs are just so…patriotic. Did you know the original name of the hot dog was ‘meat-encased load of junk’? Ok I made that up, but hot dogs generally aren’t associated with healthy living. It’s because hot dogs are usually filled with CRAP. There, I said it. I never thought in a million years I’d be serving hot dogs for our family on the regular, knowing all too well the ‘typical’ ingredients like hydrolyzed soy protein, sodium nitrite, hydrolyzed corn protein, dextrose, sodium erythorbate, and the list goes on. Soooo appetizing, right?! Until I discovered Applegate Naturals® Beef Hot Dogs and my life has never been the same. 100% grassfed beef and non-GMO project verified, but what’s even more impressive is the list of ingredients. Beef, water, then sea salt, paprika, dehydrated onion, spices, nutmeg oil, and celery powder. THAT’S IT! Miracle wieners. Cross my heart you’ll always find a package of these either in my refrigerator or freezer – so convenient for quick lunches or dinners. 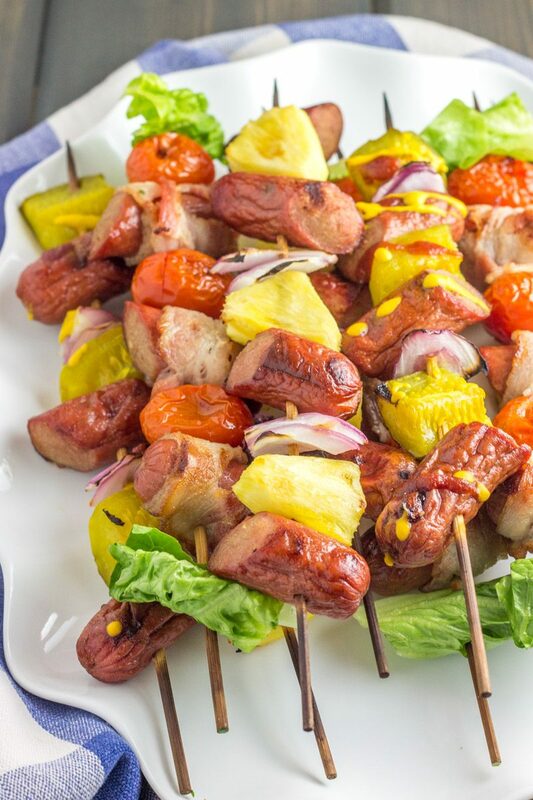 But let’s just talk about the concept of Whole30 hot dog skewers, shall we? 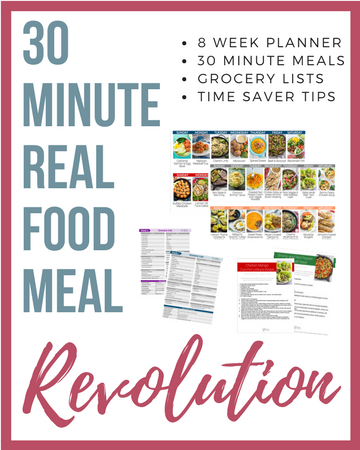 Super simple, customizable, AND adult + kid friendly. Best part is, you won’t even have to turn on your oven for these new summer staples. 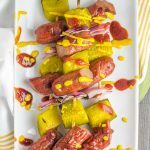 In just a few minutes you’ll have fun and healthy skewers to feed a crowd (or your ‘lil family) that are both paleo and Whole30 compliant. Yes, a Whole30 hot dog – thank you Applegate. A what’s more classic than a hot dog served with ketchup, mustard, onions, and relish? 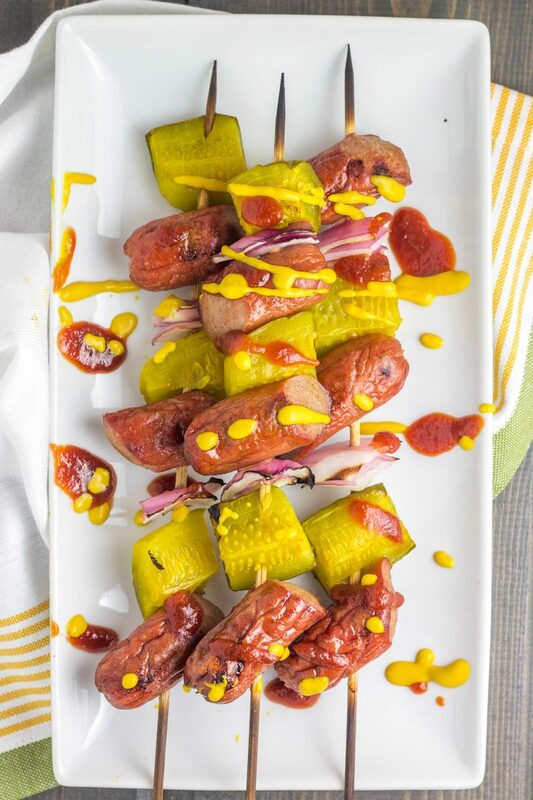 Try it on a skewer by arranging the hot dogs staked with sliced dill pickles and onion, then ketchup and mustard drizzled all over hot off the grill. 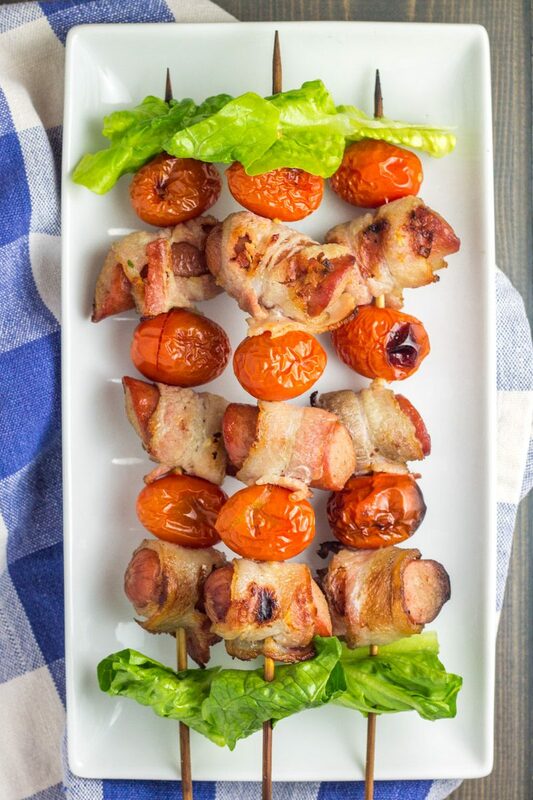 Bacon wrapped anything is amazing (especially with Applegate Naturals® No Sugar Bacon) but wrapped around uncured beef hot dogs with blistered grape tomatoes?! Believe it. 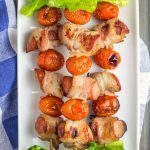 These are perfect served with folded romaine lettuce threaded on the end of the skewer after grilling. 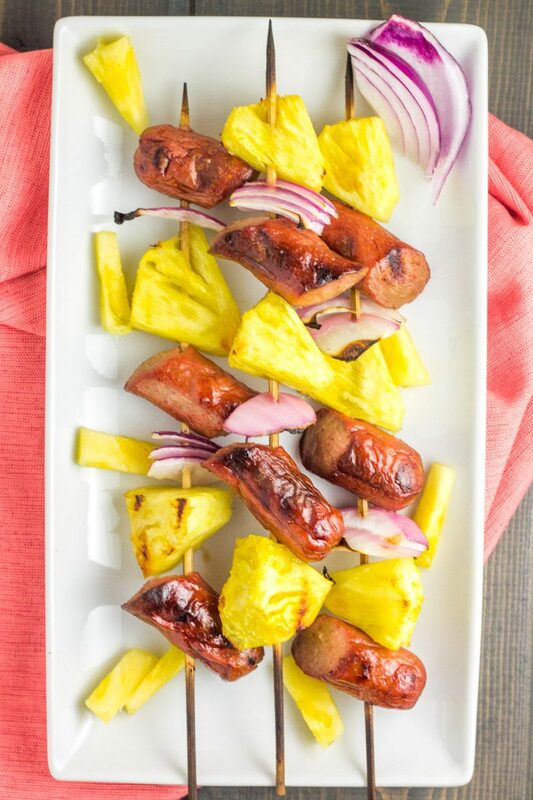 Grilled pineapple and hot dogs are the ying to my yang. I love the pop of juicy flavor combined with each piece of dog. It’s an unlikely combo that works beautifully. Who knew hot dogs could be so fun?! 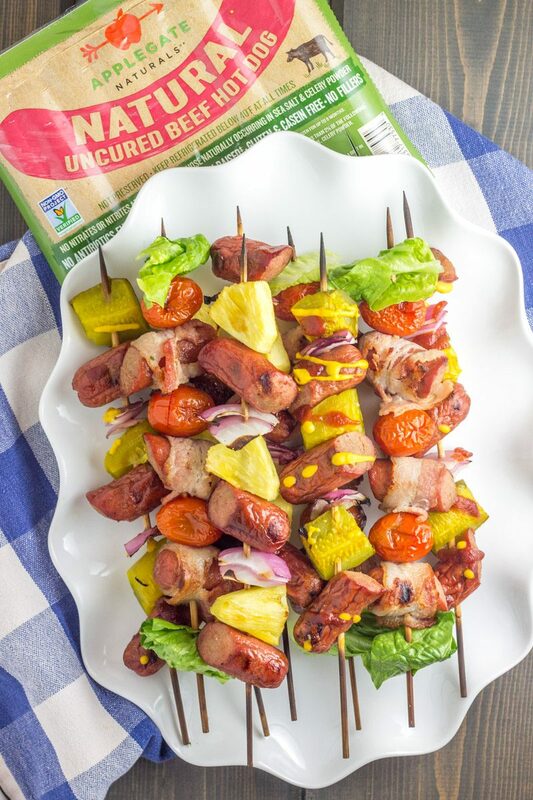 I love each of these Whole30 hot dog skewers for different reasons, and love Applegate even more for making a squeaky clean summer American classic! 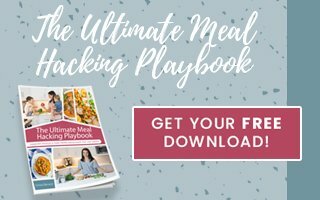 Be sure to check out this Whole30 Instant Pot Turkey Bacon Ranch Meatloaf using Applegate Naturals® No Sugar Bacon for more healthy dinner inspiration.